If you are thinking hard to come up with an excellent promotional item to promote your brand name and to attract new customers, then you can think of using photos on canvas as your promotional product. Companies spend several weeks on discussion to come up with effective promotional products that will help them reach out to their customers and create a lasting impact on their customers and remind constantly of one’s brand name. There are many promotional items available in the market but not all of them have the equal effect in promoting your brand name. When you use photos on canvas, you will be able to get the best value for your money. The photos on canvas that you hand out freely will go up on the walls in people’s houses and in offices. You just need to make sure to come up with an excellent choice of photo or theme for the photos on canvas. You should choose something neutral such as flowers, animals, automobiles, sceneries, etc. You can club this with an inspirational quote and your photos on canvas are sure to go on the walls as a decorative item this is like having a free billboard in each house your photos on canvasis used as a wall decoration. When photos on canvas that you give away are displayed on the walls, it will not only remind those living in that household of your brand name but will also introduce your brand name to all those who visit that house. Normally people do not change their wall decoration pieces that frequently, that means your brand name will get the highest rate of visibility. Make sure that your brand name is prominent enough in the photos on canvas that you are giving away without affecting the aesthetic feel of the pictures on the canvas. You may not enjoy great success if you use your own products in the photos on canvas. They may not be suitable for use as a wall décor item. The choice of the photos is very crucial for the success of this promotional item. Rather giving away expensive pens to your customers, you can send photos on canvas. 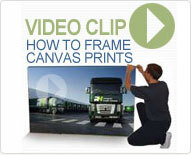 Everyone likes photos on canvas and your promotional gift is also sure to become a great hit. When you are buying your promotional items, you must make sure that they are of the highest quality. Your promotional items reflect directly the quality of your products and services or that is what your customers will construe. So you must not take chances with the quality of the promotional products that you choose. Order your photos on canvas from the right online stores. If you make bulk orders, you can also ask for special volume discounts. Check with your photos on canvas company for bespoke sizes if required for your promotional gifts. It is worth investing in a promotional item such as photo on canvas as they have longest promotional life.